Miss 2 strokes? We will drink to that! Free postage and packaging world wide! 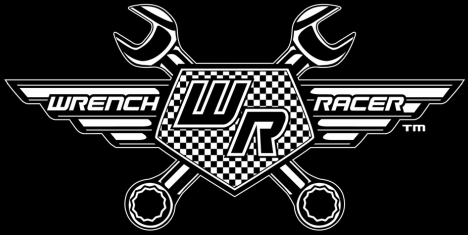 ​The Wrench Racer bottle opener is the coolest bottle opener a motor racing fan can own! Wrench Racer's bottle opener is made from 6061-T6 Aluminium, then black hard anodised and finally the Wrench Racer Logo is CNC machined in one side. It is made to the exact dimensions of a Honda NSR 500cc MotoGP race bike connecting rod from the 1990s, as used by Daryl Beattie and Mick Doohan during the Rothmans Honda era. The original is steel and suffers from rust & corrosion when taken out of its natural habitat! The original idea, and the first one I saw, was when I was a mechanic in Aalst Belgium for HRC (Honda Racing Corporation). When the other mechanics and I didn't have much to do, we would take old cranks out of the scrap steel bin and split and remove the con rods. We would then grind the section that you see missing from the small end bearing housing. Eventually we perfected them and they made great bottle openers, and it's these original ones that our Bottle openers are modelled on. You can can hang them on your BBQ, chain them to your beer fridge or your esky/cooler. We recommend that you keep yours chained up and don’t let your eyes off it! 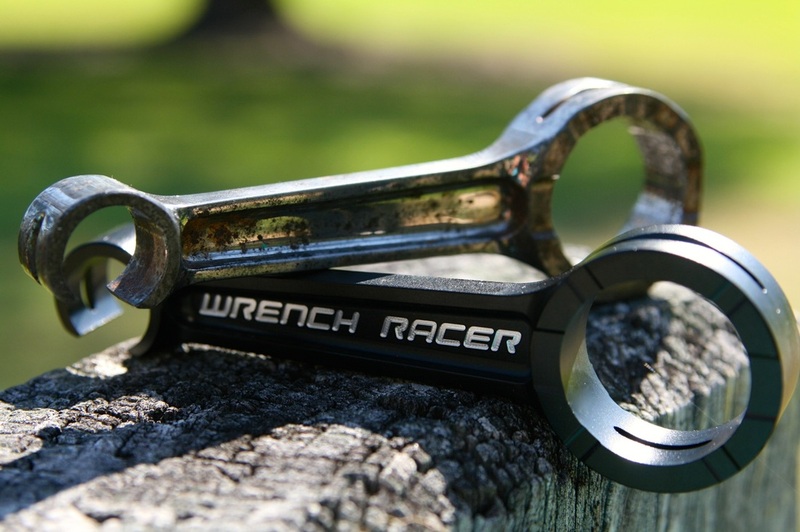 You might find that at your next BBQ or when your mates come around to watch the next race or big game, your Wrench Racer bottle opener will be a great talking point and maybe even end up "accidentally" in your mate's pocket! Your opener is sturdy but will show battle scars on the leading edge, this is normal and just shows everyone that you are a serious competitor! Need a present for Christmas? a birthday? ​ Not sure what to get the beer drinker in your life that seems to have everything? 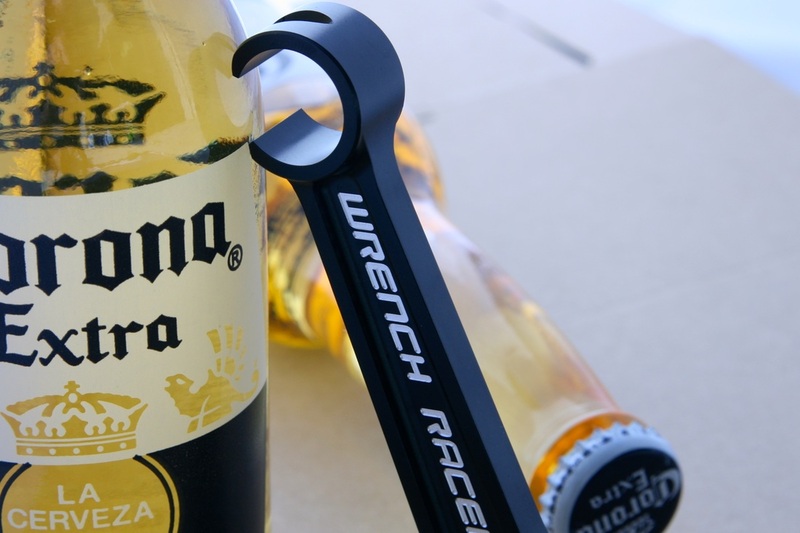 Look no further than the Wrench Racer con rod bottle opener. The con-rod on the top is my original made in 1993 and the one the WR bottle openers are modeled on. YOU MUST TYPE freeship IN DISCOUNT CODE TO GET FREE SHIPPING. copy and past it now so you don't make a mistake! REMEMBER TO ENTER THE WORDS freeship TO GET FREE SHIPPING IN THE DISCOUNT CODE AREA AT CHECKOUT! 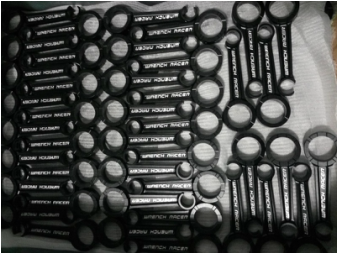 Our Wrench Racer bottle openers during the manufacturing process.